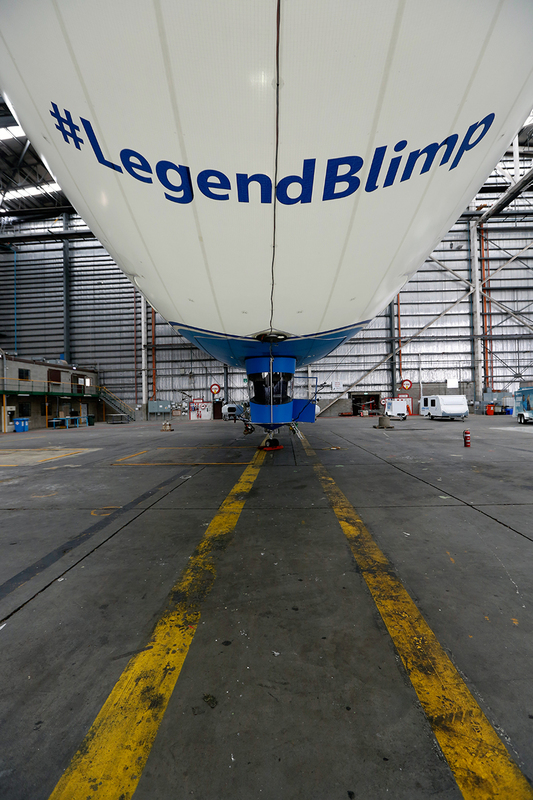 The new Appliances Online Legendary Blimp is making its maiden flight from Riddells Creek Airfield in Victoria. Built by the Van Wagner Airship Group, the blimp will be illuminated from inside by two 1,000 watt lightbulbs, making it highly visible during night flights. At 39 metres long and 11 metres wide, it’s the largest and only blimp currently flying in the Southern hemisphere. With a round-the-clock ground support crew, the Appliances Online Lightship keeps in constant contact with Air Traffic Controllers all over the country during its flights. CEO and Founder of Appliances Online, John Winning, says that as well as flying the flag for Appliances Online, the blimp represents the company’s optimism about the future of retail. Blimps have the best safety record of any type of aircraft, and, in time, there will be opportunities for members of the public to travel in it. “The Appliances Online Legend Blimp is similar to an airplane. It has aircraft engines on each side, and is flown by professional pilots supported by a full ground crew. When flying, the Appliances Online Blimp Crew meets passengers at the airport, provides them with a comfortable seat for their flight, landing securely on the Lightship’s single-point landing gear after their trip,” John Winning says. The blimp usually travels at an average of 30mph but has gone as fast as 57mph in a tailwind. With a strong headwind it’s nearly stationary: it’s flown as slow as 1mph before. Now it’s up, the blimp will stay up. Unlike a hot air balloon it never actually gets deflated. When on the ground it is tethered to a special mooring mast erected at the airfield. When it relocates to other cities, it flies, for example taking around a week to travel from Melbourne to Sydney.